Are your library customers complaining they can’t read your website on their phones? 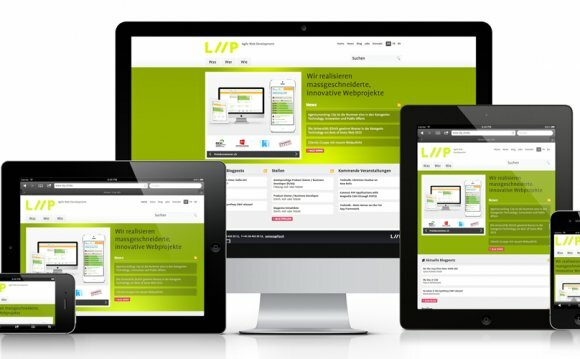 Wondering how to make your website easily readable on smartphones, tablets, as well as the desktop? Responsive web design, the ability to craft a web site that adapts into the resolution of the device it is being displayed on, is changing the game for web developers. In this webinar, we’ll look at how responsive design principles can be applied to your web development and enable you to build a single web site that adapts to work on the desktop, tablet, and smartphone environments. Define responsive web design and the major underpinnings of this web development method, notably CSS media queries. Show you toolsets and resources that will help you get started with responsive web design. Work through performance bottlenecks and solutions for optimizing your web site to accommodate this new method. Walkthrough a specific responsive design example and give you the CSS and HTML code to practice on your own. Be able to identify and apply the key components of the responsive web design (RWD) method. Identify the benefits of the RWD method along with the ways to keep RWD web sites lean and loading quickly. This webinar will be of interest to all librarians interested in web development trends and techniques.